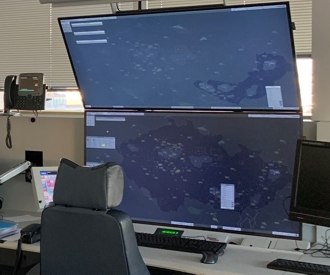 FIC Praha (Flight Information Centre) is the air traffic services unit providing the flight information and alerting service to uncontrolled VFR flights in FIR Praha. Services of FIC Praha are provided H24 free of charge. Traffic information in E class airspace as far as practicable and in G class airspace on request. This information includes only known traffic inside the FIC unit's area of responsibility, which could create a risk of collision. Information is provided after connection is established on the appropriate FIC Praha frequency. Information about NOTAM that could influence execution of a flight (restricted areas not published in the AIP, parachute jumping activity etc. ), provided on request. Information about reported meteorological conditions en-route and at airports. Information about meteorological conditions along the track, which could make VFR flight impossible, is provided to VFR flights having radio contact on the basis of flight plan or reported flight track on FIC controller's initiative, otherwise upon request only. Information about actual use of LKR, TSA and TRA airspaces on request. Activation plan is available a day in advance from 14:00 UTC in AUP report and in the AisView application. Actual activation duration should not exceed the period stated in the AUP report. Any other information that could influence safety of the flight. In class E airspace VFR flights are given traffic information, if it is feasible (i.e. radio contact has been established, radar identification has been made and there is known or unknown traffic in the vicinity). The L8168 regulation specifies obligation to have C or S mode transponder operational whenever the aircraft is equipped with it. In S mode it is also compulsory to set callsign according to FPL or aircraft registration when flying without FPL. By correct transponder setup you allow the FIC controller to promptly provide relevant traffic information to you in case of need and also to inform others about your position (even if you are not in contact with FIC Praha). This includes mainly information about significant clouds shown on the radar and possible avoidance advisory. „RADAR CONTACT“, „IDENTIFIED“ or „SQUAWK/IDENT OBSERVED“. None of these instructions or informations exempt the pilot-in-command from responsibility for safe execution of the flight and terrain collision avoidance or avoiding controlled and restricted areas! 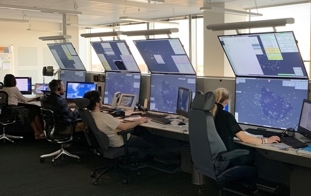 Alerting service consists in cooperation with Rescue coordination centre and informing about aircraft to which it may be necessary to provide the search and rescue service. Apart from informing the Rescue coordination centre and passing along all available information, the FIC controller tries to provide the aircraft in emergency with all possible help (informtion about closest suitable aerodromes, suggested headings or other navigation assistance, information about safe altitude above obstacles etc.). Alerting service provision by FIC Praha aims solely at providing the pilot with maximum possible help in cases he needs it. It's purpose is not to draw attention to eventual errors or contravening of regulations or to draw any consequences to the pilot. Pilots of combined VFR–IFR flights from uncontrolled aerodromes in sector Čechy are obliged to coordinate execution of the flight by telephone with FIC Praha before the take-off (AIP ENR 1.1.1.3.1 c)). The purpose of this provision is to allow timely coordination for providing IFR clearance or clearance to enter controlled airspace etc. Hence it is desirable to call 5–15 minutes before take-off. If the flight enters controlled airspace immediately after take-off, FIC will coordinate with the appropriate ATC unit before the take-off. Coordination before take-off does not mean clearance to enter controlled or restricted areas! Until receiving clearance for IFR flight the pilot must continue as ordinary VFR flight. Landing reports of VFR flights with filed FPL, coordination of combined flights before take-off, coordination of parachute jumping activities, information about airspace activation and other information regarding VFR flights. Not intended for flight plan submission! Questions, remarks and suggestions on services provided by Flight information centre FIC Praha. Contacts to other units providing services to general aviation are located in section Contacts of the AIS website.